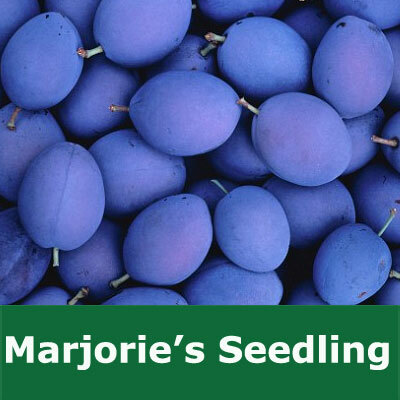 Our Marjories Seedling provides a deep purple fruit from a large and reliable harvest. Also listed as UK suitable which means even if you live in the deepest darkest parts of Braveheart territory you will get a harvest of Marjories Seedling plums. Generally speaking the more extreme the weather conditions the less the tree will grow and produce fruit.